As a marketer, you will know that the goals demanded are increasingly ambitious and, in many cases, the budgets more reduced. The marketing industry is constantly evolving: areas such as content creation, social media management, SEO and brand image management require tools to facilitate the tasks of the company’s digital marketing specialist. Sometimes inspiration takes time to arrive and, on these occasions, what could be better than a tool to help you find ideas for new posts? By simply entering a name or keyword in the search engine and leaving your contact details, the HubSpot Blog Ideas Generator provides you with 250 possible titles and topics in relation to the keyword entered. Knowing this, it’s impossible not to inspire you to start blogging! This tool is ideal if you do not have a designer in your company or if no member of the marketing team masters programs such as Photoshop or InDesign. Canva allows you to create visually attractive content for your social networks (both in post and story format) and other useful documents for your marketing campaigns such as posters, flyers, infographics, calendars, newsletters, banners, among others. The optimized templates and sizes offered by the tool allow you, for example, to create high images for Pinterest, Twitter or Instagram. Thanks to websites like Pixabay, you can complement your marketing actions with professional quality and high resolution images without having to pay for them. As we all know, humans process most of the information visually, so we shouldn’t neglect visual marketing! With Pixabay you can discover more than 1.6 million images and videos to help you with this. Whether you are in charge of a corporate website, a blog or an e-commerce, the old marketing warrior must be a piece of the game. 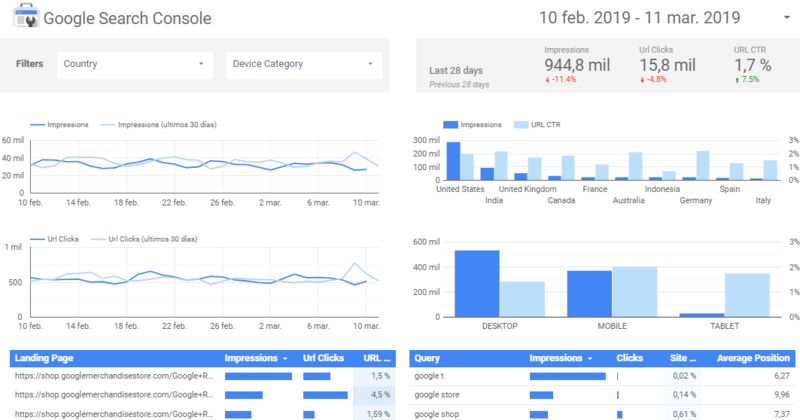 Google Analytics provides you with any insight related to a website: real-time information about visitors, demographic and geographic data (among others!) of the audience, acquisition of your traffic, behavior of users browsing the page and information about your conversions by objectives. For example, as a social media marketing manager for a company, with GA you can measure the traffic of the various social networks (Acquisition > Social Media) or which shared social media links bring more traffic to your website. As a Community Manager, this social media management and post scheduling tool will save you time in your day-to-day life. The free version of Buffer allows you to connect up to three social network accounts (either Twitter, Facebook, LinkedIn or Instagram) and schedule up to 10 posts to be automatically published on the selected platforms. This way, all you have to do is leave the content ready in the tool and it will take care of publishing it in your social networks on the scheduled day and time. SEO is one aspect of digital marketing that can sometimes go unnoticed. However, tools like Woorank will help you to identify the best aspects of your SEO in order to optimize it and achieve better search results. Whether as an extension of Google Chrome or on its website, you can get an overall SEO score for your website, plus a list of improvements and recommendations on how to improve each aspect. Finally, if your place is in the communication department or PR, this tool is of your interest. Sprai is a system for sending press notes with which communication departments can find, in a simple and segmented way, a database of journalists, bloggers or influencers to make an impact with their content. The free version of this platform allows a total of 100 monthly submissions and 100Mb of space for photos and documents.